WHO WANTS A JEEP WRANGLER ???? EVERYBODY DOES !! THIS SPORT MODEL WRANGLER HAS A LOT GOING FOR IT WITH MAG WHEELS / / / POWER WINDOWS / / / LOW MILES / / / / CD PLAYER / / / CD PLAYER / / / A BLACK BEAUTY WITH ICE COLD AIR AND MEATY TIRES TOO !!! 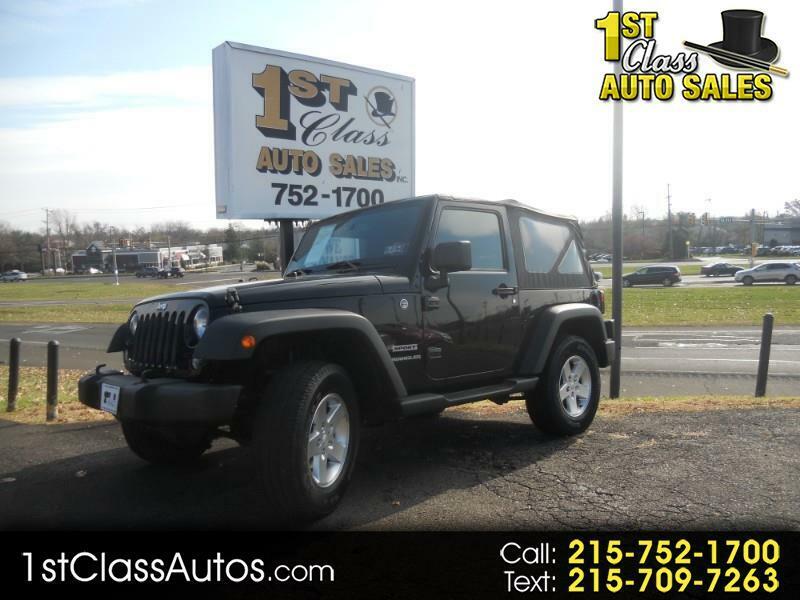 IF YOU ARE LOOKING FOR A WRANGLER YOU CERTAINLY WANT TO CHECK THIS ONE OUT !!!
" DO NOT BE ALARMED WITH CAR FAX . . . . THIS WRANGLER HAS 66,000 MILES ON IT "
JUST HAD THE MISTAKE FIXED THROUGH THE STATE OF PA. . . . . . . THIS WRANGLER IS THE REAL DEAL FOR LESS !!! !